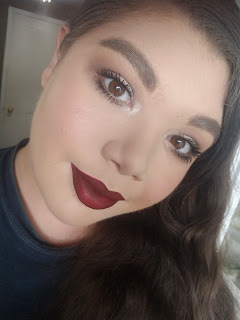 Beauty By Shannon: Two Fall Looks - Hello Fall! Hello friends!! Sorry I'v been MIA. September 4th was the second anniversary of my grandfathers death. And I decided to take time off of the internet. 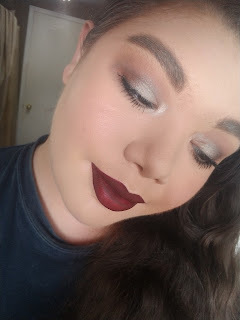 But I am here, and I'm showing you all two fall inspired makeup looks I did this week!!! Here in my part of Canada, it gets chilly pretty darn fast!! It's already at the warmest 16 Celsius here!! BRR! For the eyes, I did Colourpop Bel Air (a light brown) as a transition, Coastal Scents Barista (medium brown) at the crease shade. And then patted Colourpop Glitterati (A white/gold duochrome) all over my mobile lids. 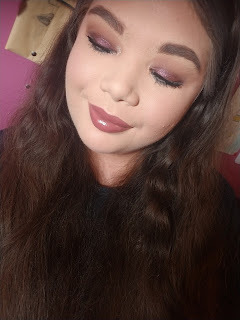 Then took a small pencil brush and patted Coastal Scents Amber Bronze (Deep metallic bronze) on the outer corner of my lids, and slightly into my crease. I also ran Amber Bronze along the lower lashlines. Added some mascara to the upper and lower lashes, did my brows. And then added Huda Beauty Famous to my lips and was done!! Sorry for the lash of close up photos, But these were all I had at the time!! I did the exact same transition/crease routine here, then I took a small pencil brush and added Coastal Scents Chocolatier, and deepened my outer V. I then patted Colourpop Babykinz (sparkly metallic cranberry) all over my lids. I blended out any harsh lines, with a TOUCH more of Chocolatier. Then I buffed Colourpop Patchwork (deep navy glitter) under my lower lashline. 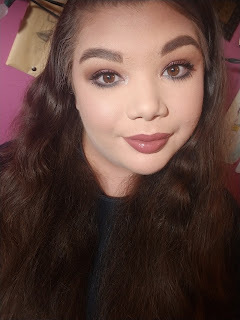 Did my brows, added mascara, and then applied a coat of BITE Beauty Amuse Bouche Liquid Lipstick in Chutney to my lips! 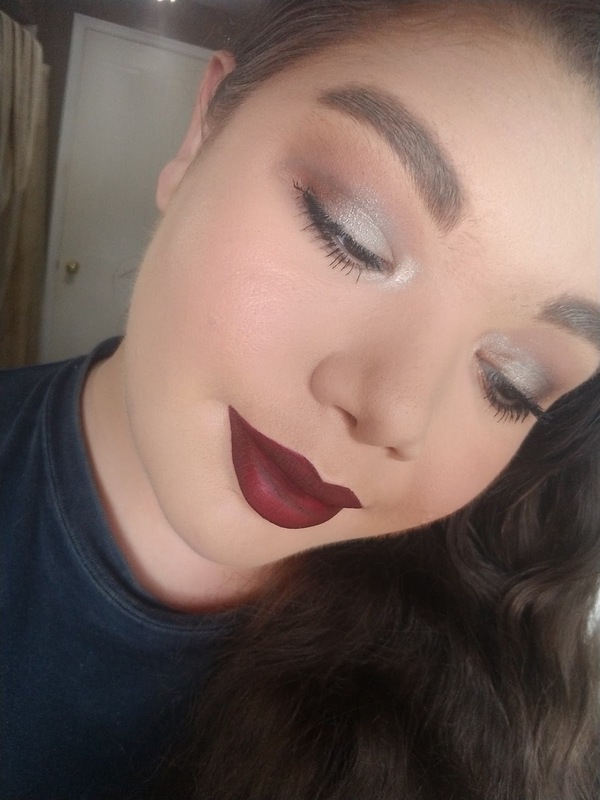 What do y'all think of my fall looks?